Recognized as the founder of modern preventative heart disease practices, Dr. Jiri Frohlich’s research and clinical work has shaped contemporary medical thinking around the link between cholesterol and heart disease. As well, he led the creation of national guidelines for identification and treatment for inherited heart disease. As Professor of Pathology at UBC and Academic Director of the Healthy Heart Program at St. Pauls’ Hospital, he is the provincial opinion leader on the relationship between cholesterol and heart disease and is one of Canada’s most influential and respected medical leaders. He is among the first physicians in Canada to address the need for identification and treatment of inherited dyslipidemia — high blood fats including cholesterol and triglycerides — that is not the fault of lifestyle. He was the lead author on the first Canadian guidelines for the management of dyslipidemias commissioned by Health Canada in 1998. In 1980, he established the Lipid Clinic in Western Canada, which specifically diagnosed and treated lipid and cholesterol disorders to prevent heart disease. The clinic, the largest of its kind in English Canada seeing several thousand patients visits a year, is now part of a broader prevention strategy since merging with the Healthy Heart Program. 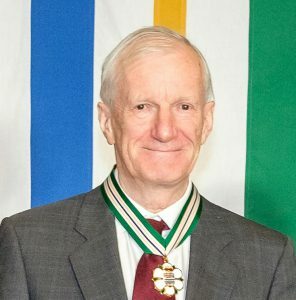 He then founded the Healthy Heart Society (HHS) of British Columbia, which supports all health care providers across the province working in the area of heart disease prevention. He has conducted over 200 clinical and basic science research studies to establish the cause of the diseases and strategies for treatment. He has also investigated the safety and effectiveness of cholesterol lowering strategies including, diet, exercise, nutritional supplements and prescription drugs. He has published hundreds of scholarly papers leaving a legacy where all British Columbians have access to evidence-based strategies for cholesterol management. Dr. Frohlich’s list of awards and recognition includes the BC Heart and Stroke Foundation outstanding contribution award; the Ludwig Sherman Memorial Award; the Canadian Society of Clinical Chemists Research Excellence award; David Hardwick Lifetime Achievement award; and the BCMA Excellence in Health Improvement Award. Numerous times he has been awarded Distinguished Medical Scientist awards.